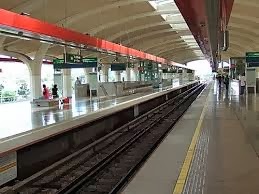 Tanah Merah MRT is located at 920, New Upper Changi Road in Singapore 467356. It is enclosed within the Bedok Region. Bedok is a neighborhood that is situated at the eastern section of Singapore. It has around 58,000 HDB flats that are equipped with either three or four bedrooms. Nearest MRT is Tanah Merah MRT and the closest bus interchange is Bedok Bus Interchange. Amenities in the area include Eastpoint Mall, NTUC Fairprice and Cold Storage. Some of the schools close by are Bedok View Secondary School, Bedok South Secondary School and St. Anthony’s Canossian Secondary School.